S.C. 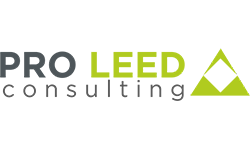 PRO LEED CONSULTING S.R.L. offers LEED and BREEAM certification consultancy services for both existing buildings and projects in the design or execution phase, as well as the actual certification. Green building certification systems have been in existence for more than 20 years and have only one purpose - the pursuit of sustainability. Today, ecological, long-term construction of buildings has become an increasingly prominent trend for real estate developers, while tenants are becoming more selective when choosing a location. Thus, green certifications have become almost mandatory for a successful project.